Note that this only looks at basic essential & accidental dignity! Other factors may come into play. Saturn dignified by sign retrograde (avoid for talisman) Jupiter retrograde (avoid for talisman) Mars exalted dignified by term (great for talisman) Sun peregrine (avoid for talisman) Venus peregrine (avoid for talisman) Mercury peregrine (avoid for talisman) Moon peregrine (avoid except for Mansion talismans) Venus conjunct the fixed star Alcyone of the Pleiades star cluster. At Renaissance Astrology it is interesting to see how the demand for talismans breaks down. The most popular are talismans like are newest bronze Triple Tree talismans and and silver Triple Tree talismans that are for wealth and success. The next most popular type of talismans are for protection. Algol is our most popular protection, particularly spiritual protection talisman, Algol talisman. These three categories account for a large proportion of talisman sales and we could probably get by with just them. But I strongly believe that it is important to make certain talisman available because their effects are very valuable. The Pleiades are an excellent example! These are what I call the Mage's talisman, because according to Hermes on the 15 Fixed Stars they, "gather daimons and spirits of the dead to come and speak and makes [the wearer] to know of secret and hidden things." After getting my Pleiades talismans I kept stumbling on to hidden and arcane knowledge, for example I discovered the ancient sigils of the 36 decans in an academic text! 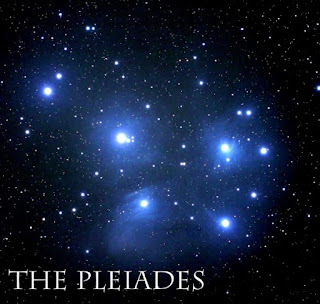 The Pleiades are also, according to our sources, good for enhancing the power to evoke spirits. So all in all, no wealth, love or protection, but a great talisman for mages and magic users. We currently have Pleiades bronze talisman and just one SILVER Pleiades talisman. Check them out and expand your talisman collection!